Where can you go and enjoy a four-course meal in an intimate setting coupled with a performance by some of the most incredible musical talent around? Serenade Supper Club that’s where. Whenever Serenade Supper Club hosts an event, I know I’m in for a treat and this month was no different. 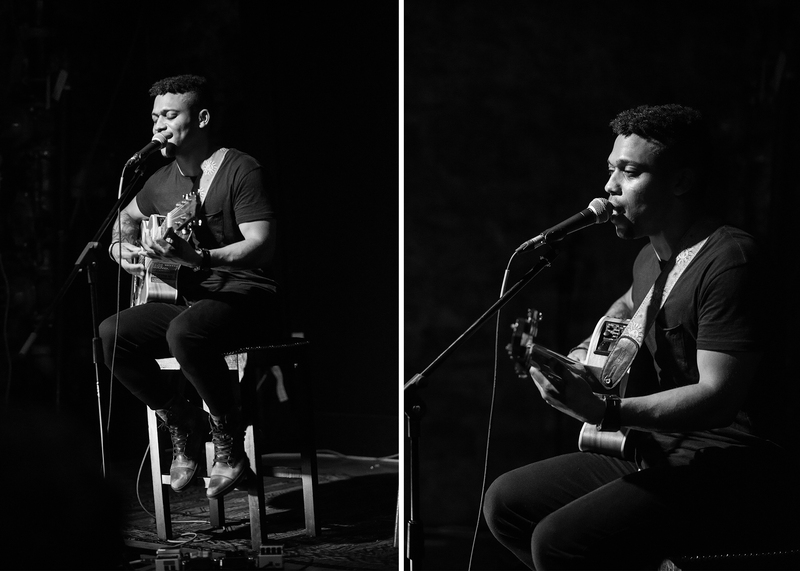 Independent singer/ songwriter Kameron Corvet graced the stage and blessed us with his musical talents sharing songs from his recent album Darker Than Gray as well as a few Prince covers. I was first introduced to the musical stylings of this talented brother when I heard him play at a showcase somewhere in East Atlanta a few years ago. I was immediately taken by his energy, crazy talent with the guitar and his unbelievable voice. Saturday’s Set at the Serenade Supper Club was incredible! Kameron shared not only his music but the inspiration and stories behind it. His rendition of Prince’s The Beautiful One’s was everything. Did I mention that I absolutely LOVE Prince? But yup Mr. Kameron (with a K), Corvet Did the damn thing! I really enjoyed the conversations an stories shared throughout the evening. After the show guests were able to purchase CDs and have them signed. Craig Garrett our host for the evening. I can’t talk about Serenade Supper Club without talking about the delicious food prepared by Chef Hopeton Hibbert. No pictures, I ate it before I thought about it. But let me tell you it was scrumptious and I can’t wait until next time. If you’re in Atlanta and you have the opportunity to Attend the Serenade Supper Club don’t miss out.